NPK Suspension Fertilizer, which we deal in, is prepared by our team of adroit professionals under the strict observation of the experts. We are a Manufacturer, Supplier and Exporter of NPK Suspension Fertilizer from Kingdom of Saudi Arabia. Our Suspension Fertilizer allows the application of each needed nutrient, whether in small quantity or large. It covers each square meter of the farm, fast and evenly. Suspensions are used to add varied ratios of essential nutrients to ignite the biological chain. 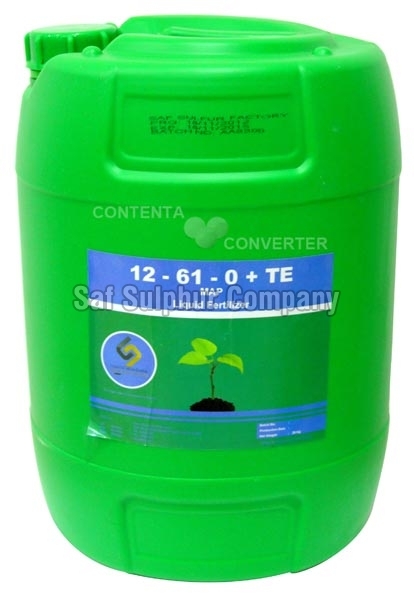 The ultra fine particle size of the nutrients in suspension penetrates into the soil profile.